Jeep was born in a tumultuous period of humanity. Specifically, we refer to 1940, during the Second World War. The off-road car was born at the request of the US Army to automakers. The US Army wanted such a vehicle of general use since the First World War. The American manufacturer Chrysler is currently producing the Jeep off-road automobile brand. 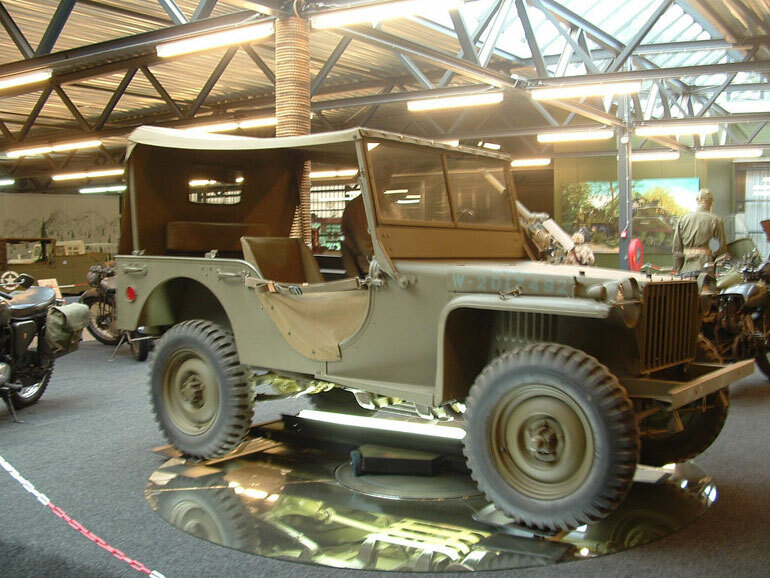 The first Jeep vehicle appeared as the prototype Bantam BRC. Soon, it became the main off-road machine of the US Army and its allies during the Second World War. Where does the name Jeep come from? Choosing the name Jeep has an exciting but fun story at the same time. First of all, it comes from the GP’s initials, which means General Purposes. In translation, this means a general purpose vehicle. On the other hand, it can be said that the name was inspired by Eugene Jeep, a cartoon character appearing alongside Popeye. In the animated movie, Jeep was the character who managed to sneak in any place. 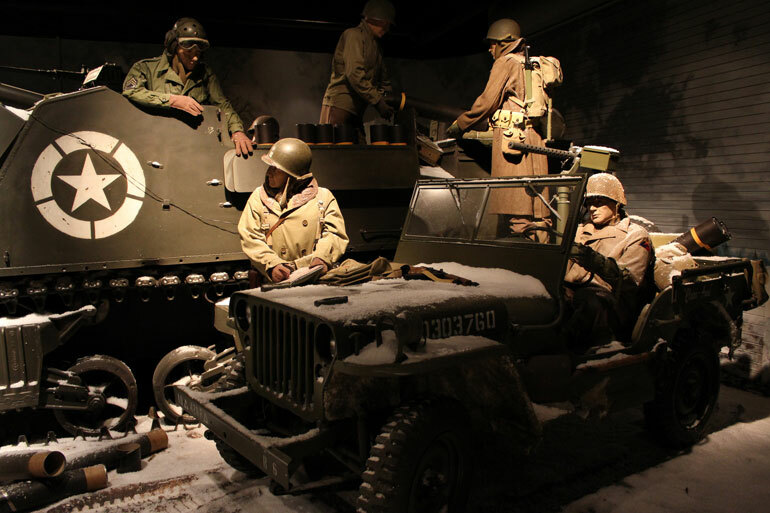 For the first time, the Jeep car entered the war in 1941 and was named Willys Quarter – Ton Jeep. The wonder machine returned well from the war and, being perceived as a true hero, has been named Jeep. Initially, the name was painted with American soldiers so that it was finally taken over by those who produced the car. History of Willys begins in 1908 when John North Willys buys the Overland Division. In 1912, the company changed its name to Willys Overland Motor Corporation. During the crisis, the company went bankrupt, but the company reorganized and appeared on the market as Willys-Overland Motors, Inc. The main features of the first off-road cars of this type were: front and rear traction, engine power change, rectangular body, folding front windscreen and at least 3 seats, towing capabilities, 30mm machine guns with a “black” front light system for front camouflage, oil bath with oil cooling capability, hydraulic brakes, self-lubricating axles, wheelbase 80 inches, maximum height 40 inches, maximum weight 1275 kg. The fabulous Jeep story began in 1940 when Willys Overland started to launch an off-road car that made history. Until 1945, 360,000 such units were produced. 1945 is the year in which civilian jeep lineage begins to occur. The first model in this line was CJ2A. 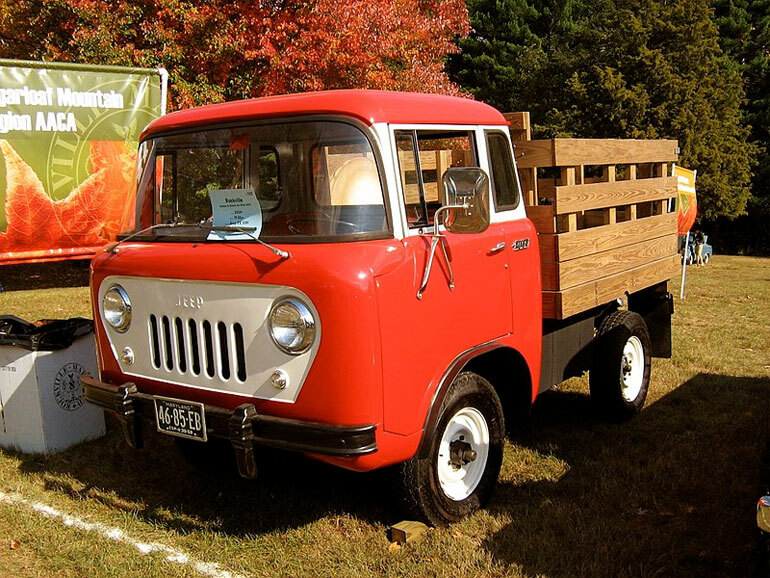 The Jeep Truck construction began in 1947, and by 1965 200,000 pieces were manufactured. 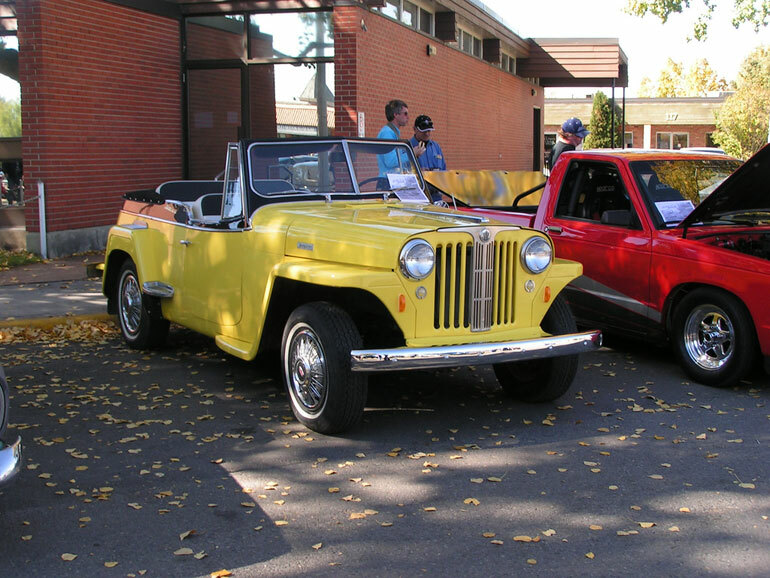 1948 is the year of Willys Jeepster. The production of this model ceases in 1950 when only 19,000 pieces were manufactured. Production of CJ3A begins in 1949, and in just 4 years 132,000 cars were manufactured. Willys also builds a wagon that will mark the subsequent evolution. 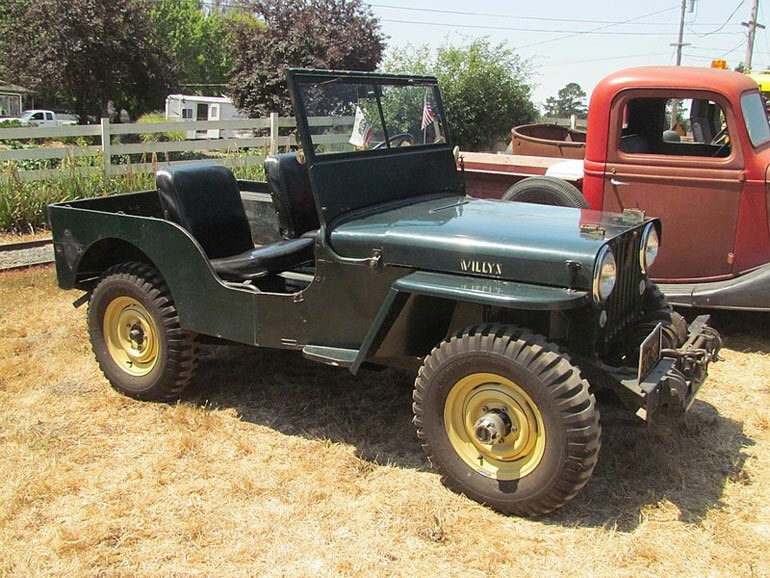 Willys Wagon receives a 6-cylinder and 72-horsepower engine, a 4×4 all-wheel drive. Thus, it can be said that the first SUV in the world was created. In 1952, Willys began production of CJ3B. It receives a large F-series engine with 25% more power than previous models. Until 1968, 155,000 pieces were sold. 1953 is the year of the first major change. Kaiser Motors Corp purchases Willys Overland Motors and changes its name to Willys Motor Company. 1954 is the year when Willys Wagons gets the 115 hp and 6 cylinder super hurricane engines. At the same time, this is the year when the CJ5 is launched, becoming the longest model, being manufactured for 30 years. In 1956, the company announced the entry into production of the FC 150 truck on the CJ5 chassis. In the same year, the CJ6 is published, based on the CJ5 chassis extended by 20 inches. Until 1983, 50,000 units were manufactured. 1957 is the year when it comes to the FC 170, the Jeep Compass based on the FC 150 elongated with 103 inches and the 6-cylinder engine. 1963 is the year when the strangest decision is made in the company. 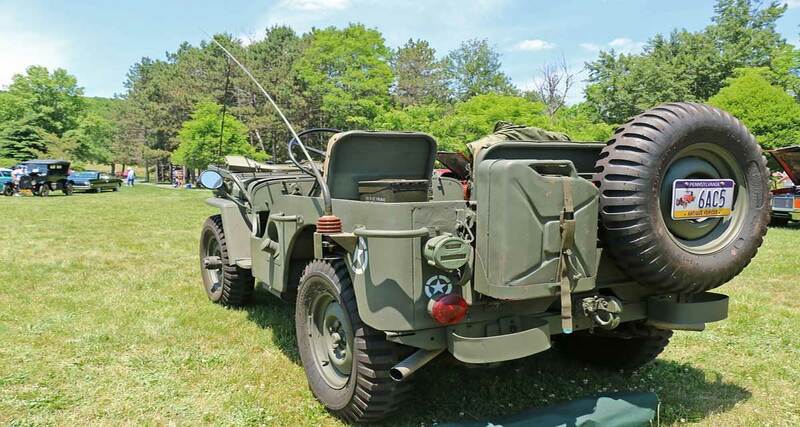 It changes its name to the Kaiser Jeep and withdraws the name of Willys. The first step taken by AMC was made in 1972 when the CJ5 is slightly elongated to fit the 6-cylinder AMC engine. The name Willys Overland is revived and appears as sales division within AMC in 1975. 1983 is the year when CJ5 production ends. In the 30 years, there have been 610,000 units. 1984 is the year of the XJ or, as is known, Jeep Cherokee. It is considered the most successful SUV ever. In 1987, the Chrysler Corporation bought the AMC, and the Jeep Wrangler is launched. Jeep Grand Cherokee appears in 1993, in response to the American manufacturer’s appetite for luxury cars. 1998 – Chrysler and Daimler Benz merger by intake. In 2001, Daimler Chrysler built a new factory in Toledo. 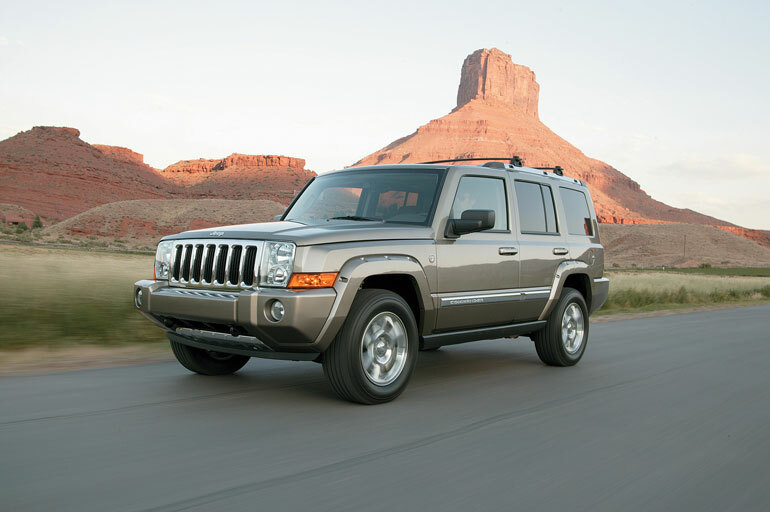 It is the latest Cherokee – the XJ platform, which was replaced in 2002 by the KJ that will be called Cherokee or Liberty. In 2007 JK is released as a redesigned version of Wrangler and for the first time Wrangler with four doors. Also in the same year, Commander XK is launched. Also in 2007, Daimler sells Chrysler’s contribution to Cerberus Capital. This is the slogan that accompanies today’s brand-specific logo: two round headlights that fit a radiator grille consisting of large vertical slots and a rounded bonnet. This is the traditional design and the sign of continuity that has preserved over time models such as Willys, CJ or Wrangler (except for a single generation of Wrangler, for which the square shape of the headlights was adopted – which was dropped present in favor of the classic one). Today, after 60 years, Jeep remains a reference in the field of field machines, and the adventure continues. Next Post How Much Car Finance Can I Afford?